I touched on the idea of Drift in an earlier Blog post (HERE) but I think it is worth discussing on its own. This is something I've observed in my own play tests (I'm sure others have noticed this as well and I'm sure the term, or variations of it, is floating around the net). It occurs when the rules of the game state X but over time you start to do Y instead without realizing the error. This simply happens over time and feels natural so you don't notice until you re-read the rule in the manuscript or book. In particular I'm talking about Drift that arises when you are developing a game, but it definitely is something you see with existing systems. Drift is something we are always looking for. Most recently it occurred with our Restrain rules in Wandering Heroes of Ogre Gate. We always wanted to keep this simple, not get into more involved mechanics. Somehow it shifted at the table away from what the text said and toward something else. I see this all the time and it is usually a sign of one of two things: the rule cuts against natural expectations or the rule doesn't adequately handle what it is meant to represent (it can also just mean people are being forgetful, thinking of another system or weren't paying attention to the rules document). When it cuts against expectations, that can be okay. Sometimes you are just used to mechanics working a certain way and need to get used to change. However if it continues to be a problem, I think it is a sign that the mechanic doesn't fit well with how people want to run the game and changing it becomes a strong option. If the mechanic simply doesn't do the job it is supposed to do, then you have to rework it or get rid of it. Drift can be a product of fixing rules live during play without deliberate effort. You are just unconsciously smoothing it over, and that becomes an unofficial rule that replaces what the text says. Sometimes Drift happens because people didn't review the rules document enough. I generally make a point of referencing rules we are working on every time they come up initially, so this is rare, but it still crops up if I let myself get lazy. The problem with Drift is it is one of the more insidious things that can creep into a game without you realizing it before it hits the shelves. If you don't catch drift then you are effectively playing a different game then you are releasing to the public and that is a huge issue. That is a significant disconnect and it makes it difficult to address ongoing issues with the system. Preventing Drift and catching it when it does arise, is something I've learned to make a priority. The last thing you want to be doing is fixing Drift right before edits or (even worse) right before layout. 1) Read my own rules: This sounds simple, it sounds easy, but when you've read your own writing 100 times, it can be easy to miss content and project content onto it. So rather than re-reading the manuscript in one sitting each week, I break it into chunks, slowly going over each section individually and reviewing key sections before and after playtest. 2) Print my own rules: I always print one new copy of the manuscript before each game session (I print several in the early stages, but it eventually gets too expensive to print multiple copies every game). I also have two players who have the most current version of the rules on their laptops. 3) Look-up rules during play: I usually assign one player to be the official rules reviewer/lawyer for the session. I also keep my copy of the rules handy and look them up with they arise. As an example when playing Wandering Heroes of Ogre Gate, we review the text of each technique when it comes up so we know we are applying it correctly. 4) I playtest RAW: Outside of Playtest, I don't worry about RAW as much. But in a playtest for a system I'm developing I play the rules as written and am pretty rigid about it. I just want to make sure the text on the page reflects what is actually going on at the table. All of this is quite helpful. The biggest things really though are the regular reviews of the text and looking things up during play. The latter definitely slows things down. It can be a pain to lose momentum just to look up a minor rule, but Drift happens if you don't. 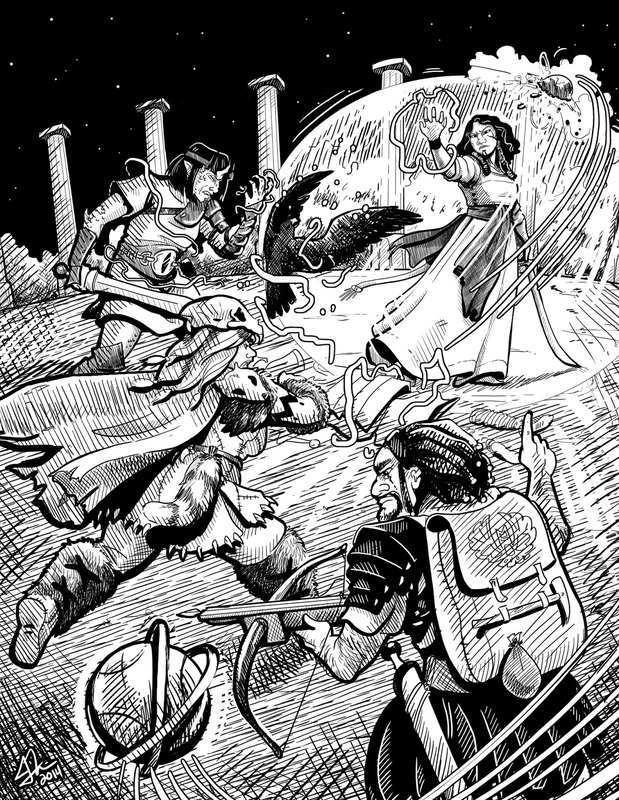 I have a somewhat tricky job today because I am writing a playtest report for a session I ran Sunday putting two players through (Ben and Michelle) through the Tomb of the Timeless Master but I have another group also going through it this coming Saturday. For this reason I am going to attempt a spoiler free playtest report, then on the following week I will write a comparison of both groups experiences. The Tomb of the Timeless Master is a dungeon that will be part of our gazetteer in Wandering Heroes of Ogre Gate. The playtest session went smoothly and the challenges and combats were suitable for characters of Qi Level 3. Characters with Lightness Kung Fu (Qinggong) definitely have an edge in some challenges (something we say in our last session of the campaign when the other party arrived at the Tomb: HERE) because it gives them better access to portions of the complex. However there are plenty of other obstacles and challenges demanding different sets of skills and techniques. The players explored about 1/4th of the map and will hopefully get through the remainder in the next session or two. From what portion they've experienced so far there seems to be a good amount of material to interact with. I will be adding in a more details and tweaking a couple of NPC entries based on the playtest. I found a few places where text needed further explanation of clarification. I also noticed a small error on the character sheet during the playtest (which I fixed). What skill sets are represented in the party make a difference as well (this is generally true of the game because it has a lot of skills). What this has meant in play, and what it means for things like dungeons, is hirelings are going to be important if the party has any gaps (for example characters without Survival Skills will possibly want to hire mountain guides). This is something I've noticed over the last year and half of play testing. The Network system definitely works for dungeon exploration in its current form, which is something we made a point when we revised it for Sertorius. We will see how things go this Saturday and Sunday. Wandering Heroes of Ogre Gate is populated by a number of colorful personalities who roam the land just like the PCs. Some of these are good people but many are reckless villains. On my standard encounter tables, I include a "Roll on Martial World Personality Table" entry. When this comes up, I roll on the Personality table to see if the PCs meet any important martial experts. This table is meant to grow and change over time. Rather than list Sect Leader's individually, they come up on a 1-3 (either the nearest sect leader or one random selected). Encounter tables are tools of course. Not every encounter like this needs to be the product of a random roll. I also flow encounters into the game as I play the world and try to make it come alive for the players. Originally this was just meant to be a way of capturing the tendency in wuxia series for the heroes to bump into fellow martial heroes and villains in their travels. But I saw a really great post on google+ by Uri Kurlianchik that expanded my thoughts on the subject. In the post he advises GMs to put their NPCs onto a table (I don't think he meant a random table but he may have) and recycle them. His approach included adding relevant information about the NPCs which makes a lot of sense, but his point was that this helps create a world that feels alive and also creates a sense of community. So you are not just introducing new NPCs all the time, you are re-using people they've met before because they'll remember Dancing Hawk who outbid them on the Divine Snake Manual back in Chen. It had not occurred to me that this sense of community could be important, but after reading the post, and reflecting on how players have reacted to the presence of "regulars" in the setting, I think it adds something very important to play. I think that is probably why this table appealed to me in the first place. Dancing Hawk is part of the circle of heroes/villains who live in the Banyan region. This creates a sense that Dancing Hawk is real and going about his business in the world so that he occasionally bumps into the players (this may be a good thing for them or a bad thing for them depending on personal history). Obviously I don't need a table for that. I can just decide that he shows up for whatever reason (and when I think there is a good reason for such an encounter, I do just that). Random tables simply help me do that in a way that is more natural and surprising. Normally the focus here is on games (and occasionally martial arts movies or other media). I sometimes do interviews as well, but with game designers and artists. Today I am going to do something a bit different and post an interview I conducted with the people from 6SensorLabs who are working on a portable allergen detector. While this piece of technology may be of interest to gamers running modern or near future campaigns, my primary reason for conducting the interview is a for people with celiac disease because their first attempt to produce an allergen detector is a device that detects the presence of gluten. I have also celiac disease, which means basically I have to avoid gluten or trace amounts of gluten, otherwise my body doesn't absorb nutrients correctly. It is a fairly easy condition to correct, you just need to follow a strict gluten free diet. The only problem is, gluten is in so much of what we eat and produce, that it can be difficult to completely eliminate all traces of it from your diet. Just a tiny bit is enough to set off the disease and it can last 5-10 days after an exposure. Even if you are very careful some foods that are supposed to be gluten free, aren't. So an affordable gluten detection device is a godsend for celiacs, making strict adherence to the diet that much easier to maintain. 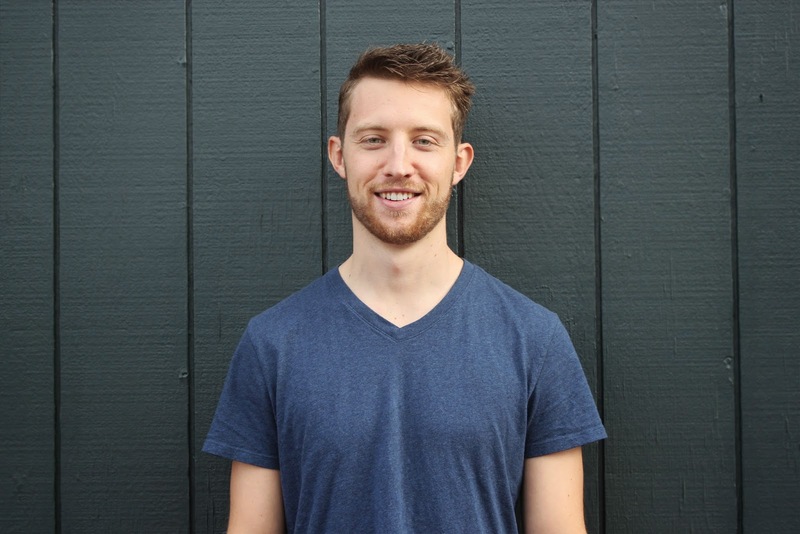 When I heard that 6SensorLabs was developing a portable gluten detection device called Nima I was interested in learning more so I spoke with their co-founder and CTO, Scott Sundvor for a brief interview. Brendan Davis: What will the 6SensorLabs portable allergen detector be able to do when it is ready and how will it work? Scott Sundvor: Nima is the name of our portable allergen detector. 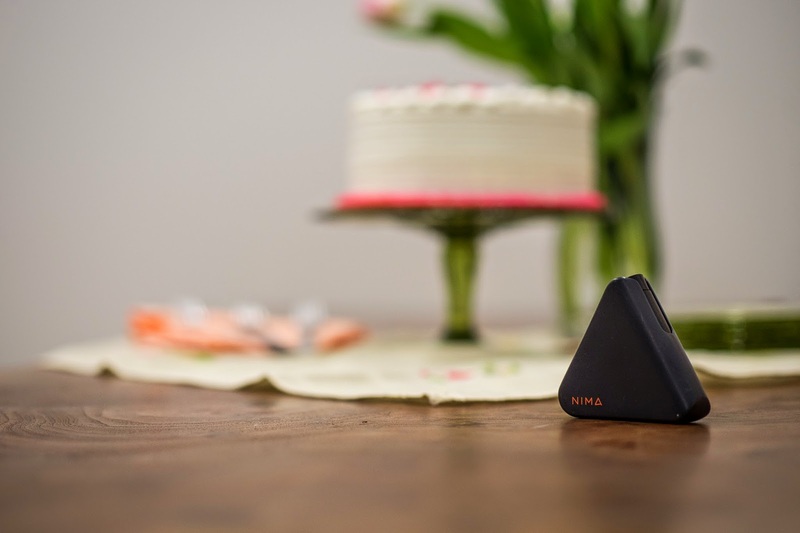 Nima provides the only rapid and user-friendly way for consumers to test their food for allergens. You can test quickly (in 2 minutes or less) and discreetly (our product is small enough to fit in your pocket). 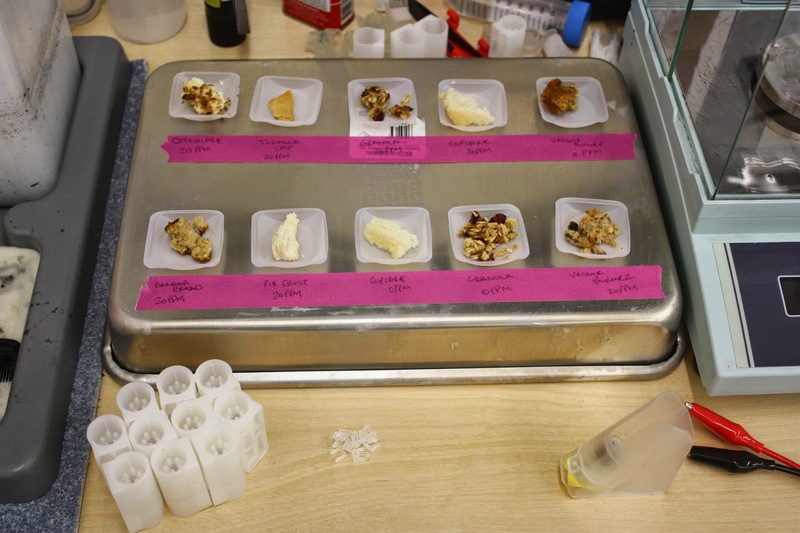 Nima provides chemistry based evidence that food has 20 ppm or more of gluten, with more allergens to come over time. Using the product is simple. 2) Place the pod in the Nima and turn on the device. 3) Receive results on the Nima and to your iOS app. Share the results with the Nima community! We’ve put all the hard work in to make this easy for you. While you sit back, the sample is tested for the presence of gluten. You’ll see a sad face if we detect gluten at 20ppm or above. * If less than that, the sensor will show a happy face. You can make a determination from there if you feel comfortable eating the food. *20ppm is the US FDA standard for foods to qualify as gluten free. So this also could serve to help the community build a database of tested products? Yes, this could help a community build a database but with a nuance. The app will show results in places. Since restaurant menus change so frequently, it'd be hard to ensure an item was always available. So each restaurant would build up a body of results, along with some other information such as ratings on how knowledgeable the staff is about allergens, and how good the food was in the end. Many people have told us that even if a place has multiple tests, they'd still want to test again, so we should be able to trend data over time too, which would be helpful. BD: What is your design philosophy? SS: Design is core to everything we do at 6SensorLabs. There is a huge amount of of chemistry, electronics, mechanical design, and software behind our device, but our design is how our users experience our products. Through our entire development process, we’ve been very cognizant of design, and how decisions impact our user experience. It looks like your first device is for gluten detection, why did you select this allergen for your initial product? Both Shireen and Scott have to watch for gluten on a daily basis, so there’s a personal reason for starting with gluten. There’s also a very practical reason: we can help the most people of all the food sensitivities. There are 3 million people with Celiac Disease in the US and the number of diagnoses has been rising over time. There are almost 20 million people with a gluten allergy or intolerance. When you add in that nearly a third of the US follows some sort of reduced or no-gluten diet, it’s evident that this is the largest audience of people who really want to avoid feeling stressed when they go to eat. We know that other allergens are important and can be difficult to avoid. You think something like shellfish is easy to avoid, until you begin looking at sauces and dressing. You talk to people with egg allergies and realize how much people have wonder about when they eat outside the home. The same can be said of so many of the allergies people email us or tell us about at expos. BD: What are some of the challenges you faced in the development of your portable detector? SS: More than you can imagine! Designing and building any consumer electronic product to be mass manufactured is very difficult and has huge hurdles to overcome. We took that challenge and added chemistry and microfluidics to it. Many of the challenges we face are due to the Nima being a consumer product, not a lab product or a medical device. In order for our product to be successful, we had to make huge innovations on speed of the chemistry process while still maintaining the accuracy of a lab-grade product. This has to be combined that into an easy to use, elegant, and friendly product while still keeping the cost low enough to be appealing to the every-day user. We’re now on the doorstep of beginning testing in an actual manufacturing environment, and getting here took a huge amount of innovation, ingenuity, invention, and dedication by our amazing engineering team. BD: What does the development process entail? SS: This is a difficult question to answer in one paragraph. Hardware development is a long process of finding out what your customers want, determining what you can build, and then designing, building and testing. We’ve gone through probably 5-10 iterations on most parts of the product. For some specific portions that were more squirrely, we’ve done close to 40 or 50 iterations. Now we’re nearing the part of development where we finish design and enter pre-production. That means working with our Contract Manufacturer to build actual units on the manufacturing line, test them, re-design to fix problems, build new units, and test them again. When we release our product, we want it to be 99% accurate. How do you see consumers using such devices in the future, will they be primarily for people with allergies and medical conditions, or do you foresee them being used more broadly (for example would it be possible to create something that detects bacteria or viruses)? It's bigger than this! The long term vision is food transparency. We want to give people information on their food so that they can make informed decisions about how they're nourishing their bodies. I would say the short term plan is to add allergens. (The team is already at work on peanut and dairy!) Then later we'll add pesticides, bacteria, viruses, GMOs, and eventually get to the point where we can show the full nutrient composition of food. When you say bacteria and viruses, you mean you could screen food for things like salmonella before eating it? The types of things we'd want to test for are still up in the air, but that's the idea. We haven't done our due diligence on all of these, so we'll share more when this hits our actual planning. BD: What stage are you in development? SS: We’ve wrapped up a lot of the work in chemistry, and we’re working on finalizing design. We’ll then enter pre-production builds and testing with our Contract Manufacturer, and once the manufacturing process is proven out, we’ll ramp up to Mass Production. Nima will be available for pre-purchase this fall (2015) and in people’s hands next spring (2016). BD: How can people learn more about the portable allergen detector? SS: The best way to keep abreast of what we’re up to with Nima is to sign up for our email list at nimasensor.com, as this group will be the first to know when it goes on sale. We also have an active presence on Twitter, Facebook, Tumblr, Instagram and Pinterest -- all under the name Nima Sensor. Key blog posts about product development are shared across all of these, and we provide additional customized content in each of these. BD: What do you expect the final retail price to be? SS: The device itself will be under $200* and the disposable capsules will be about $3 each. You have to use a fresh capsule with each test. At some point I really want to make a gritty sub-system or rules light variant of network for unarmed fighting. This wouldn't be for Ogre Gate (which is a lot more high action) but something you might throw in a Crime Network or Servants of Gaius session. When I have time I will sit down and flesh out that system. For the time being I've been thinking about optional rules for getting your bell run after someone strikes you unarmed (keeping in mind this would naturally also be applicable to being struck with a melee weapon since if you can knock someone out with a fist, you should probably be able to do so with a baseball bat as well). Getting your bell rung is something you hear about a lot in different full contact martial arts (whether its boxing, kickboxing,etc). Basically its what happens after someone lands an effective combo or even a well placed shot. 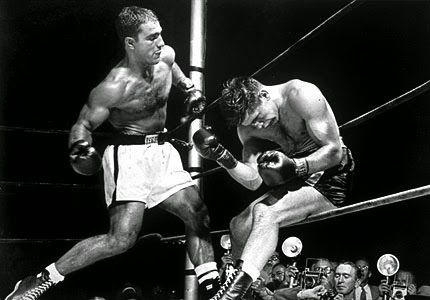 You are shaken and another solid hit or combo could knock you down. This can be a bit on the tricky side to model, and I want to simplify for gaming purposes. What I am thinking now is to tie it to our Total Success mechanic. For every Total Success you get on a melee or unarmed attack roll the target has their bell rung for 1 round. When you're bell is rung, then any additional Total Successes on attack rolls against you, knock you out for one round each if you fail an Endurance Roll TN 6. Or maybe you stay knocked out until you make another Endurance roll TN 6 (rather than have it last 1 round per Total Success). This would only be on the attack and not the damage roll. I thought of doing the damage roll first, but didn't want to muck with wounds and I felt this was more about precision and timing of the strike. I just want to bring people up to speed on our spell supplement for Sertorius, Book of the Archon. We have just about finished with the edits (I basically just need to review some alterations). Hopefully we will have it ready by the summer time (when Wandering Heroes goes to the editor). It will be either free or pay-what-you-want. I have to say I am really impressed with the Book of the Archon content. This is an entirely different style than the spells in the core rule book. We had a little more creative freedom and that helped a lot. This covers all the basics of character creation and includes our skill entries. This explains all the rules of Wandering Heroes of Ogre Gate. In the past we usually place this chapter deeper in the book. This time around we are trying something different, seeing if making it an earlier chapter is helpful to people. This is a very important chapter in the rule book, it describes all of the Kung Fu Techniques. I still have to do a final tally because we've added many since our last count but we have roughly between 160-200 Kung Fu Techniques. This chapter will also be released into the public domain, making hacks and third party supplements easier (because it can be really helpful to repeat the text from techniques in NPC entries in adventures). This is a smaller chapter that expands the Ritual skill and offers up some sample magical rituals. Chapter Five provides all the weapons and daily goods you expect in a wuxia campaign. 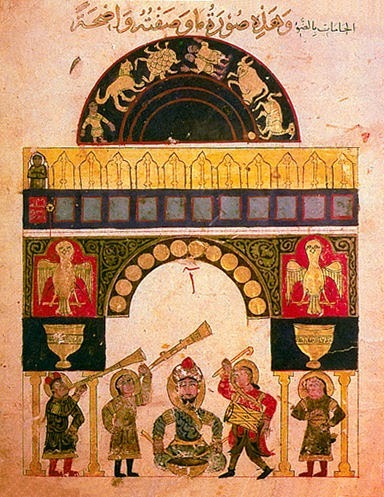 Each sect entry explains the history, hierarchy, rules, techniques, etc. In addition to the above list we also have gangs and smaller sects described in single paragraph entries at the end of the chapter. This includes all the cultural information for the world of Qi Xien. We are debating moving some of the material specific to the martial world into Chapter Six, but for right now, that is going to be here. Here you will find the history, religions, deities, key customs, etc. This is our gazetteer chapter. It begins with a broad overview of the setting itself, describing all the various powers and important people. Following this is a thorough gazetteer of the Banyan Region. Our sample Wuxia Dungeon "The Tomb of the Timeless Master" is in this chapter. This is a very large chapter that includes many of the key sect leaders as well as important characters in the setting. Chapter Ten is our monster section. It also includes mundane threats like bandits and stock martial experts. Manuals are a very important feature of Wandering Heroes of Ogre Gate and this includes several. It also has a number of special items (sometimes magical, other times simply important). The game master chapter. Here we go into fate (very important in the setting), grudges, etc. Includes information on designing adventures and running the Kung Technique system. We also provide a list of inspirational sources. This is our sample adventure, a mystery involving the mysterious death of a local official in Chen.